A sure sign the blog has been fallow for too long - a rash of spam comments on very old posts. Those things magically appear like dust bunnies under the bed at the first sign of neglect. Like most people I've been a little pre-occupied this week, mulling over the events in Boston and Texas and being quietly thankful to have spent an entirely uneventful week in my little corner of the world. But mindful that it could change any second, as it did for the people in Boston, and Watertown, and West. It's all combined to make me feel a little melancholy. 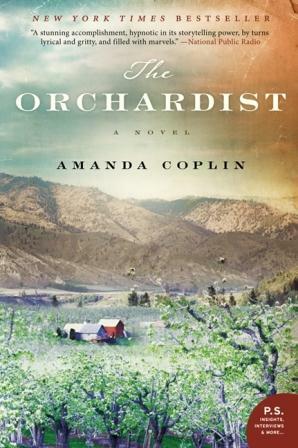 My spirits were lifted Friday evening as I gathered with a group of bookish ladies for a lively discussion of The Orchardist. If you recall, I waxed rhapsodic about the book a few weeks ago. And while the general consensus among the group was to praise the writing, several people found the story simply too bleak to call enjoyable. As much as I loved The Orchardist, I could never call it a "feel good" book. It's rather like the events of the past week - it's a book that forces you to contemplate evil and sadness. It's a book that uncovers isolation and hopelessness and unfulfilled dreams. As we sat around the table and talked about these things, it occurred to me how often I gravitate to books like that, how I almost relish that kind of literary atmosphere. Of course there's sadness and pain and disillusionment and misunderstanding. I take it for granted in my books, like I've come to take it for granted in my world. Having lived a lot "in my head" I know my own penchant toward the melancholy. My book choices reflect that - the memoirs and novels I read often focus on people who suffer, who seek spiritual and emotional sustenance. I don't like violence or cruelty - won't read a book that has any of that in it - but I do hunker into those books that delve into the depths of the human experience. Of course this week I haven't had to read about it in fiction...it's been all over the news. I wonder if other readers find themselves drawn to books that reflect their emotional temperature? Do you? The Orchardist is such a rare and beautiful specimen of a book, I barely know where to begin in my praise of it. Should I write about the sweeping breadth of the Washington landscape that becomes as important as another character? Should I tell you of the achingly beautiful prose that describes every event in the most perfectly chosen details? Should I warn you that there are moments so painful your breath will catch, so haunting your eyes will not close in sleep? Perhaps I should write of Talmadge, the quiet and introspective Orchardist for whom the book is named, and the way he cares with such deep intensity for his land, his product, and the people he loves. The way he sees so clearly into the soul of everything and everyone - except perhaps himself. Or maybe you'd like to know about Jane and Della, two frightened young girls, heavy with child, who appear at the outskirts of Talmdige's orchard, fleeing an unspeakable evil, and work their way bit by bit into his heart, stirring within him every ounce of protectiveness he can muster. 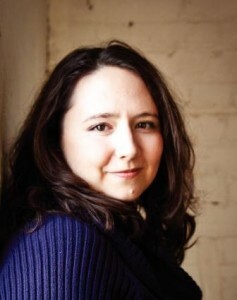 And I must not forget Angelene, Jane's daughter, whom Talmadge raises and instills with a feminine version of his unique quiet intelligence and intensity. The Orchardist is stunning, almost Biblical in the epic span of its story about determination and loneliness and loyalty and hope. It takes the reader into a far-away place - the Pacific Northwest at the turn of the century - a time when a man's land governed his life and his choices, when people worked hard from dawn until dark because their very living depended on it. A time when distractions were less, and simple pleasures enjoyed more. But still there was darkness...there was evil and loss and destruction. Talmadge is no stranger to it, even before Jane and Della with their heavy baby-laden bellies, arrive. His father has died in a mining accident, his mother has died a few years later, leaving he and his younger sister- neither of them barely more than children -alone to run the orchard. And then his sister Elspeth disappeared one day, goes out to gather herbs and never returns. Talmadge is nearly crushed by this loss. Forty years later, it fuels his obsession with Jane and Della, and his desire to protect them from the evil they have fled. Readers and writers alike will savor The Orchardist, for its story, its characters, its maturity of style and prose. A novel eight years in the writing, begun when its young author was only 24 years old, The Orchardist is an amazing tour de force and should become part of the canon of modern American literature. Link to the author's website and Facebook page. Thanks to TLC Book Tours for the privilege of reading this book.